View of “The Ungovernables,” 2012. From left: Amalia Pica, Venn Diagrams (under the spotlight), 2011; Jonathas de Andrade, Ressaca Tropical (Tropical Hangover), 2009. Photo: Benoit Pailley. IF THE FIRST NEW MUSEUM TRIENNIAL, “Younger Than Jesus” (2009), was premised on the relative youth of the artists it featured, its second incarnation, “The Ungovernables,” which closed its doors last month, looked to present a generation of artists who are responding to political, economic, social, and personal states of urgency. Resistance, collective engagement, and concepts of citizenship and the civic were central preoccupations that resonated strongly with the contemporary moment. The triennial also reflected a broader cultural shift by which museums around the world have been reconfiguring their programs to reflect a more global purview that acknowledges new historical perspectives and multiple centers of artistic production. The flip side of this shift is that art practices themselves are increasingly subject to the unifying lens of the biennials and international art events that have proliferated over the past two decades. Yet this triennial’s distinctiveness as a forum for an emergent set of artistic and critical positions that are representative of this particular present was nonetheless maintained. Their articulation across multiple platforms, in time and space, also made for an interesting counterpoint to the eloquent introspection of this year’s Whitney Biennial, with which the New Museum show happened to coincide. Notable in “The Ungovernables” was an indebtedness to the legacies of Conceptualism from vastly disparate cultural vantage pointsincluding Argentina, Egypt, the Philippines, Nigeria, and Vietnam. 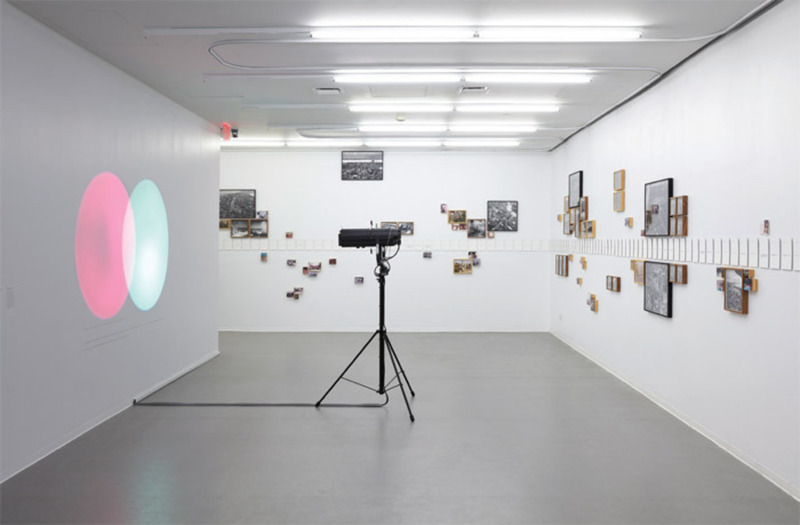 Equally apparent was a repurposing of certain foundational tropes, from the deconstruction of discursive systems of representation to the critique of institutionalized structures of ideology, as propositions for alternative political or societal models. This shared terrain notwithstanding, a diversity of formal currencies was evident. The bricolage-survivalist aesthetic of the found and the fractured informed Abigail DeVille’s makeshift habitat Dark Day, 2012, an assemblage of scavenged mattresses and wooden pallets that filled the “shaft space” tucked away in the stairwell between the third and fourth floors. In Julia Dault’s sculptural works, by contrast, highly finished sheets of Plexiglas and Formica are crudely, precariously, and performatively strapped into place, circumscribing empty space. The concept of the habitat itself functioned as a desublimated space of traumatic memory in Rayyane Tabet’s fabric-architecture piece 1989, 2012, in which white sheets descend from an elevated door. Other artists used a pared-down formalism as a discursive starting point: The intersecting colored circles projected in Amalia Pica’s installation Venn Diagrams (under the spotlight), 2011, which were triggered by a motion detector, are at the heart of the work’s reflections on the history of ideological paranoia in 1970s Argentinawhen, so the wall text states, Venn diagrams were “banned” from primary schools because they were “feared to encourage seditious models of collectivity.” New York– and Cairo-based Iman Issa, meanwhile, reconsidered the monument as a site for new meanings using referential forms such as the obelisk, which was reduced in scale and turned on its side for Material for a sculpture representing a monument erected in the spirit of defiance of a larger power, 2012. This attitude of excavation and interrogation underlay many works in the exhibition. One of its most spectacular expressions was Adrián Villar Rojas’s A Person Loved Me, 2012a colossal clay sculpture, part triffid, part mechanical form, whose fractured and parched surfaces took over the museum’s fourth-floor gallery. A second work by the artist, Before My Birth, 2012, installed downtown at the World Financial Center Plaza, offered a speculative counterpoint to the claustrophobic inevitability of history expressed in the gargantuan structure in the museum. Villar Rojas’s makeshift constructivist habitats made from wood and clay occupied the open-air plaza. Within these structures were embedded fresh apples, to the delight of the local bird population. The work might be seen as a vanitas, or simply as a platform for the natural cycle of nurture and decay. If a certain new-millennial melancholy was unavoidably present, a number of artists attempted to engage more directly with what Jacques Rancière has defined as the aesthetics of politics, which is to say the visible, or, more strictly, perceptible forms of political and societal structures, as well as their implied dimensions of inclusion and exclusion. One of the show’s standouts was Hassan Khan’s video and sound work Jewel, 2010. From an image of a glittering luminescent fish in the Black Sea, the camera slowly pans to a staged scene of two men dressed to “type,” one in street clothes and the other in informal business attire, both dancing in ritualized sobriety to a syncretic form of music heard everywhere in the working-class neighborhoods of Cairo. The absorbing introspection of this work was not only mirrored in its black-box installation at the New Museum but found an echo elsewhere in the exhibition, in the choreographed destruction documented in Cinthia Marcelle and Tiago Mata Machado’s O século (The Century), 2011, a video projection that shows an array of objectsincluding oil barrels, fluorescent light tubes, hard hats, and office chairsrelentlessly thrown to the ground and smashed, first from stage right and then stage left with each return in the loop. An aesthetic one might describe as détournement modified for a postideological era was at play in the Ho Chi Minh City– and Los Angeles–based collective the Propeller Group’s Television Commercial for Communism, 2011, a five-channel video installation documenting the work of an international advertising firm commissioned by the artists to develop a new brand for Communism. Another work that humorously addressed corporate structures in an era of outsourcing was Pilvi Takala’s installation The Trainee, 2008, which documents the artist’s monthlong apprenticeship with a multinational accounting firm, during which she did nothing other than sit at an empty desk, stare out the window, and ride the elevator. The perplexed expressions of the company’s employees, captured by the artist with a hidden camera, along with the alternately concerned and indignant e-mails exchanged between coworkers (which were also featured in the work), expose the reach of the internalized directives of productivity and accountability that define working culture. Confronting unquestioned systems of meaning with subjective systems of value was something of a leitmotif. In Danh Vo’s WE THE PEOPLE, 2011, sheets of beaten copper replicating exterior sections of Frédéric-Auguste Bartholdi’s Statue of Liberty were propped against walls and on the floor as a fluid and transportable symbol of aspirationin its mobility and visibly thin structure offering a reflection of a biographical history of the Vo family’s emigration from Vietnam and an expression of political ideals as a superficial veneer. Vo’s elegantly expansive surfaces contrasted with the grittiness of objects, documents, and videos that constitute José Antonio Vega Macotela’s Time divisa (Time Currency), 2006–10, for which the artist conceived a time-share scheme for inmates of a Mexico City prison whereby they performed (and documented) various tasks on the inside in exchange for the artist’s acting as their proxy on the outside by, for example, attending family weddings and birthdays. Macotela’s documentation of these transactions included framed, ordered arrangements of cigarette butts and toenail clippings that prisoners had dutifully collected and classified. The work was a reminder of the significance for this generation of works such as Mary Kelly’s Post-partum Document, 1973–79, and, more recently, Emily Jacir’s Where We Come From, 2001–2003 (Jacir is a former student of Kelly’s), in their positing of an alternative system of exchange, the assets of which are recognition and human interaction. Such works illustrate what the show’s curator, Eungie Joo, describes in her catalogue essay as artists in “The Ungovernables” enacting “the present they desire through their work.” Joo also speaks of movement across prescribed boundaries as being important to her curatorial approach, as emblematized in the work of the Invisible Borders Trans-African Photography Project, a photography initiative founded by the Nigerian artist Emeka Okereke that proposes a “neo-Pan-Africanism” premised on networking and professional development across borders. The video documentation of the group’s travels that was on view at the New Museum and the accompanying visual essay in the catalogue propose the creation of a new form of collective cultural space. Such symbolic and material enactments of border crossing call to mind Nicolas Bourriaud’s articulation, as curator of the 2009 Tate Triennial, of the ways in which artists were responding to a “new globalized perception” of the world, something he summed up with the term altermodern. Yet in comparison with previous international surveys, what was striking and distinctive about the work shown in “The Ungovernables” was the clear sense of locatedness, albeit to sites irrevocably tied together by global systems of exchange. For despite the shared sensibilities of many of the artists and their consciousness of a certain shared art history, the variety on view reflected states of coexistence rather than sustained intragenerational dialogue. Instead of talking to one another, these artists are in dialogue with their own histories, their own societies, and themselves. Attempting a panoramic snapshot of the state of art practices globally is always an ambitious undertaking, not least given the constraints of space and resources that face any institution seeking to put on such an exhibition, and not to mention the fact that some of the most vital practices are necessarily temporal, ephemeral, or immaterial. Joo openly acknowledges her show’s “failure to fully represent a generation in formation.” Rather, she says, her show seeks to embrace “the energy of that generation’s urgencies.” In general, Joo sticks close to the art and avoids thrusting herself too forcefully into the complex geopolitical histories that have contributed to the production of such energies. But her phrasing inevitably leads one to wonder about varying degrees of urgency amid a climate of rapid geopolitical change: What forms of art might be the most pressing in the many places where everyday life seems more and more to exist within a state of exception? Suzanne Cotter is curator of the Abu Dhabi Project for the Solomon R. Guggenheim Foundation, New York.